Home Informations Guides and Advices for Chihuahua Chihuahua dental care, Guide and Advices. Chihuahua dental care tips are the most overlooked topics when talking about dogs. It’s easy to forget about your pet’s teeth until a dreaded illness comes on and you find yourself at the Veterinary office with a big dental care bill. There are ways to prevent tooth rot in Chihuahua’s and other dogs. Regular teeth brushing, a good diet and dental checkups can help keep your pets mouth care optimal. 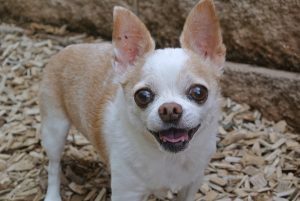 Read on for smart Chihuahua owner tips for Chihuahua dental care. Dietary Tips For Chihuahua Dental Care. It’s tempting to want to feed these little dogs soft dog food. Due to their small size, hard kibble bits might seem too large for them to eat. This is absolutely NOT true. In fact, several commercial dog food brands make special size kibble for the smaller dogs like Chihuahua’s. Feeding any dog a strictly soft food diet is the worst thing possible when dental health is a concern. Chewing hard kibble actually helps prevent plaque and tartar buildup on your Chihuahua’s teeth. Soft dog food doesn’t give Chihuahua’s the natural daily teeth cleaning like kibble does. Long term feeding of soft dog food promotes early tooth decay and loss of teeth which can damage the bone structure of their jaw. 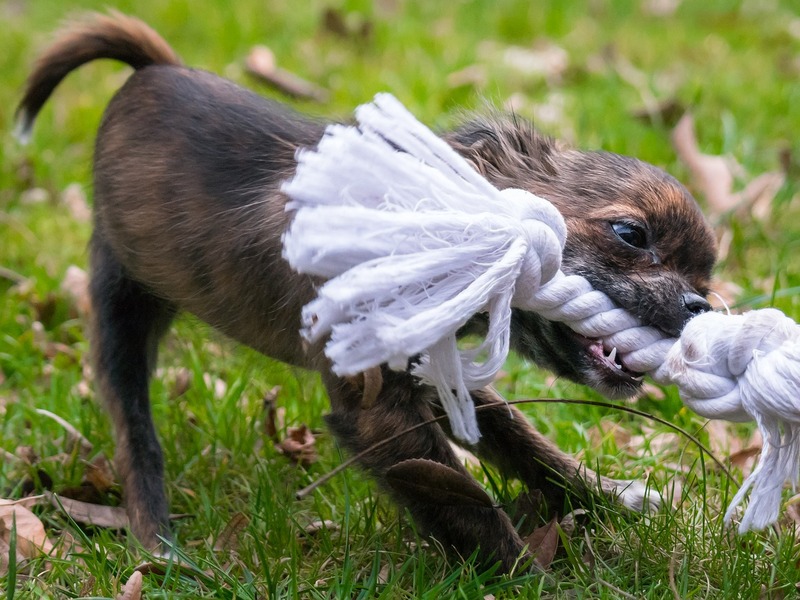 Giving natural chew toys like bully sticks can also help promote good Chihuahua dental care. Tooth Brushing Technique For Chihuahua Dental Care. Chihuahua’s need to have their teeth brushed no less than once a week. It takes only a few minutes of time to do this task. That is once you’ve got your Chihuahua used to the mouth touching and brushing occuring. Buy a dog specific toothpaste and a finger brush. You lift up both sides of muzzle at the same time and quickly use a pasted finger brush to do the cleaning. It’s quick, simple and with time, your Chihuahuas health is better for it. It might require you having a helper or you can have this service done at a local grooming salon. Choosing a good diet and chew toys that promote using the teeth and chewing are good for Chihuahua dental care. The grinding and chewing helps loosen and remove plaque. Without plaque buildup, the tartar has nothing to stick to and is easily removed with brushing. Plaque will appear as a brownish color on your Chihuahua’s teeth along the gumline. Having a professional dental check up and cleaning once is year is suggested. Your Veterinary office can guide you on keeping up to date with your Chihuahua dental care. Long Term Health Depends On Good Chihuahua Dental Care. Keeping your Chihuahuas choppers bright and clean leads to long term good health. Dogs who have pet parents that brush their teeth for them are known to have better breath. Having better breath means giving more kisses and making new cuddle buddies more easily. Chihuahua dental care is an important part of owning your pet. And it’s just as important to their health as brushing your own teeth is to yours. Previous articleBringing your Chihuahua on the Beach, Guide and Advices. Next articlePatella Luxation in Chihuahuas, Guide and Advices.